The improved technology used in this original HP CB381A yellow toner brings quick and excellent results. The toner provides reliable performance and a dynamic range of bright colours with high gloss and consistency. All this ensures trouble-free printing that saves you time and money. The toner capacity is 21,000 pages. For shipping to other EU countries visit this page HP CB382A No. 824A Yellow. Für Versand nach Deutschland, besuchen Sie bitte HP CB382A / 824A Gelb. Chcete doručit zboží do Česka? 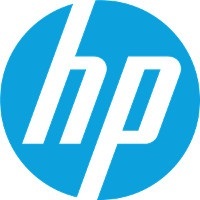 Prohlédněte si HP CB382A č. 824A žlutý. Chcete doručiť tovar na Slovensko? Prezrite si HP CB382A č. 824A žltý. Magyarországra történő kiszállításért tekintse meg ezt a termékoldalt: HP CB382A nincs. 824 sárga.